Welcome to ROLLerUP custom roller shuters manufacturing and repair company based in Concord, Ontario. 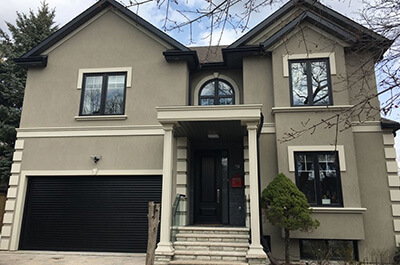 Our firm offers custom aluminum roller shutters for both residential shutters and commercial security shutters applications. Roller shutters are a great solution for any homeowner whom is looking to increase security and enegry efficency to their home. Add space and style to your garage or laneway home with our roller garage doors. 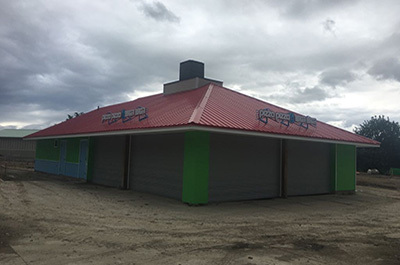 Custom manufactured roller doors, security roller shutters and commercial d. Visit our product pages below to see which option will offer the best protection for your home and business. 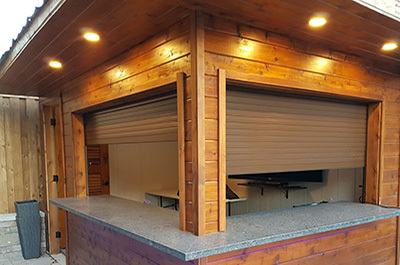 Our residential rolling shutter products can be customized for any application. Roll up garage doors, windows and laneways. We specialize in commercial shutters. Loading docks, reception counters and retail grilles. Sometimes we have unique areas we need to secure like cabanas shutters, pool or boat houses and even freight containers. WHAT DO YOU NEED TO KNOW ABOUT ROLLER SHUTTERS? A sheet of any roller shutter consists of panels held together with a lock. The materials used in the manufacturing of rolling shutters vary: plastic, aluminum, steel. All of them have their own advantages and disadvantages. To start with, we will not consider plastic shutters in protective roller shutter systems, for obvious reasons. We are glad to answer any questions you might have about roll up blinds. Please contact us to schedule a free estimate and learn more about our services and products.